Is it legal to destroy a hornets nest? Jump Menu: Is it legal to destroy a hornets nest? 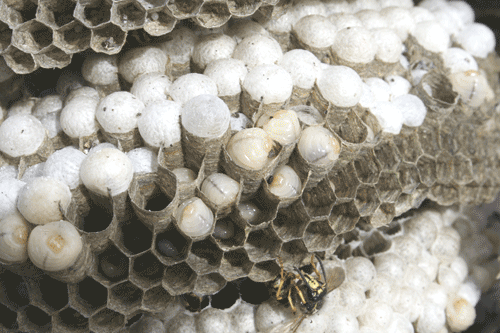 Does a wasp nest have a honeycomb? Do wasps have babies? Can bees live in brick walls? I have found a golf ball sized nest with one wasp building it, will more join? Hornets are not protected, neither are bees. We are not sure where people get the idea that hornets and bees are a protected species, but it is not true. 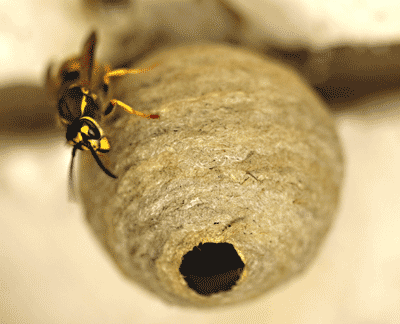 It is perfectly legal to treat a hornet's nest, and in some cases, it is a matter of health and safety. 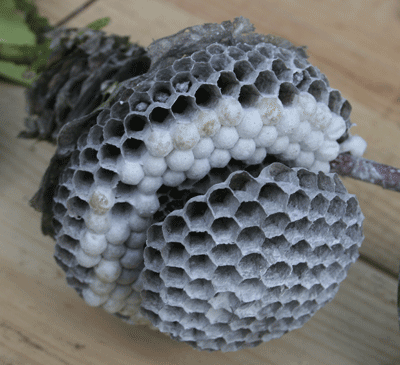 Does a wasp nest have a honeycomb? There is no honeycomb inside a wasp nest, although the comb part of a wasp nest does look like a honeycomb with hexagonal cells, but made from wood. Honeycomb is only found in honey bee nests and is made from beeswax. Wasps do not have babies as mammals do. Wasp larvae are what you might consider being babies. Wasp larvae look like big fat maggots. They pupate from larvae into adult wasps. All flying wasps are adults. Can bees live in brick walls? Mason bees which are harmless will use small holes in brickwork to lay their eggs. They tend to use a hole where a screw was or the plastic weep vents installed in modern brickwork. 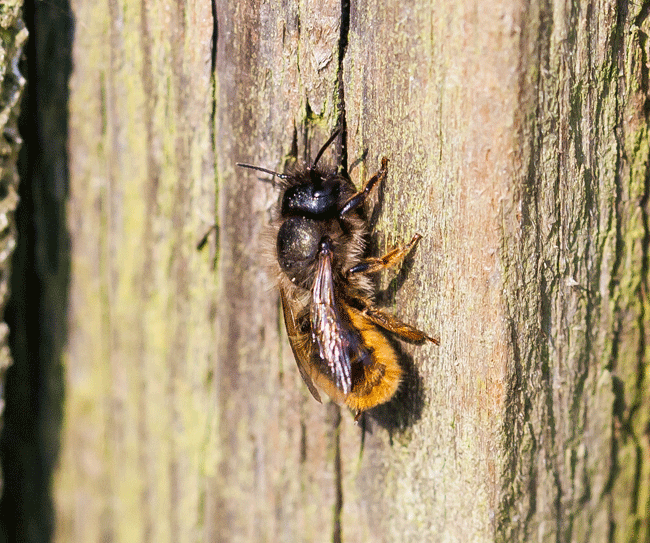 Mason bees are nothing to be concerned about and only live for six weeks. They are most active in May. I have found a golf ball sized nest with one wasp building it, will more join? A golf ball sized wasp nest is the start of a full-blown nest. Just a queen starts building it. Once she has hatched some workers, there will be more wasps present in the nest.